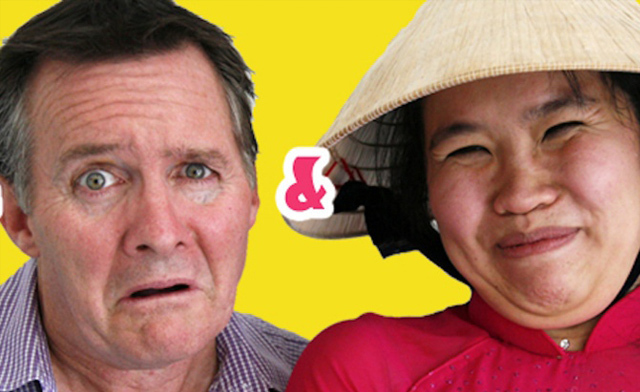 PhiL and Me is the latest instalment in the chortle worthy escapades of local Melbourne mum Kim Houng Nguyen. But this dragon woman is more than the just the iconic Vietnamese parent who will do everything to ensure her son’s chances of becoming a ‘doctor, lawyer, teacher’ are realized – she is sassy, strategic and above all suffocates her rebellious son to the point when he feels he must run away. And then she writes a book chronicling why her methods are fool-proof; or at the very least, ensure that her son grows up to be super quick on his feet. Laced with humorous examples (watching other people embarrassed or in pain is always funny) Diana Nguyen exposes intimate Vietnamese cultural references and does so with finesse as she dances, admonishes and regales her audience with a range of blush-worthy scenarios guaranteed to make you laugh. Steve McPhail supports Diana by playing a plethora of supporting characters: the host for Kim’s new book, Phi’s best mate Kevin who has now usurped his way into Kim’s household, a bouncer, policeman, immigration officer and even Kim’s sister (played with an excellent Viet accent). His energy and exuberance are infectious and the transitions between each vignette are made that much smoother for his quick responses and deft character changes. The actual plot and dramatic structures has some obvious lapses and may at times appear to be a series of randomly placed encounters inspired by personal memory than a carefully crafted piece of theatre. However, this can be easily remedied. With only fifty minutes Diana certainly packs a fair punch of good humour into the ongoing saga of PhiL and Me. The show also contains plenty of musical numbers, and therefore numerous opportunities to get involved as members of the audience. If interactive comedy performances are your preference then make sure you check out these 50 minutes of rollicking comedy craziness, lead by the indomitable Diana Nguyen.